Up to 25 Dräger X-Zone 5500 can be automatically interconnected to form a wireless fenceline. 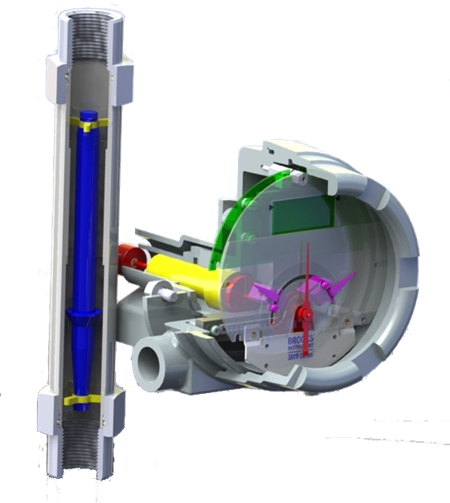 The interconnection of the area monitoring devices allows for rapid establishment of safety networks for larger areas. A Dräger X-zone 5500 detecting a gas alarm transmits the alarm signal to all interconnected units. A red flashing master alarm in the mother unit detecting gas contrasts with red/green flashing alarms of the connected daughter units providing simple recognition of alarm status and the actual location of the hazard. 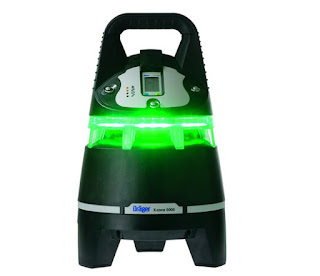 The illuminated green LED ring indicates that the air is free of toxic and combustible gases. Upon detection of gas hazards, the LED color changes from green to red, thus providing a clear visual warning that gas is present. Additionally, a loud and highly audible evacuation alarm is emitted. The Dräger X-zone 5500 gas entry is arranged that the gas can diffuse into Dräger X-am gas monitors from all sides. Continuous operation for up to 120 hours: The 24 Ah battery of the Dräger X-zone 5500 provides up to 120 hours of continuous operation – a complete working week. Visit Flow-Tech for more information. Drager X-Zone 5500 Hazardous Gas Area Monitoring from Flow-Tech, Inc. Variable area flowmeters (rotameters) are engineered to provide years of repeatable, reliable measurement of gas and liquid flow rates. Watch the video below for a full understanding of variable area flowmeters. For more information, contact Flow-Tech in Maryland at 410-666-3200 or in Virginia at 804-752-3450. FCI flow meters operate on the principle of thermal dispersion. 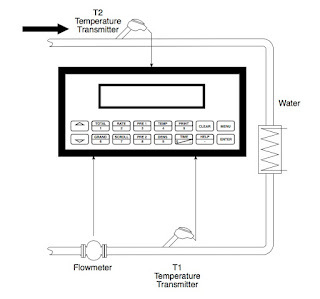 The flow meter circuitry measures the temperature differential between a heated and a non-heated sensors. 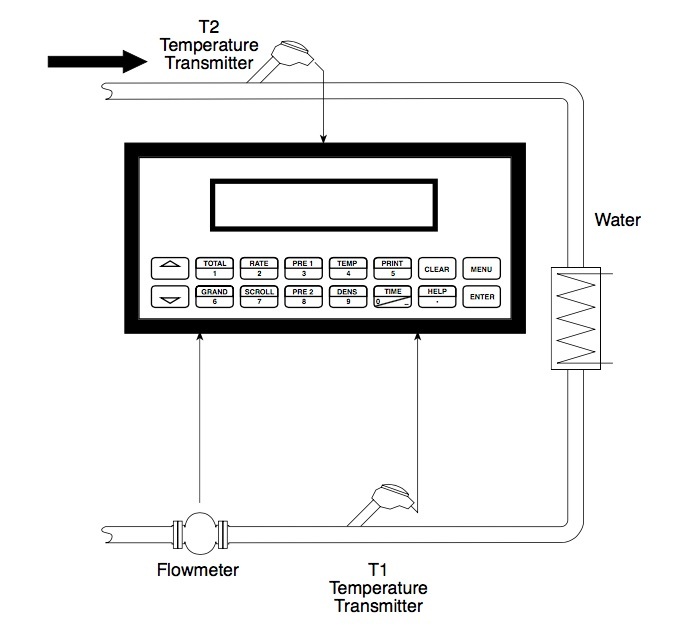 The greater the mass flow rate, the less temperature differential between the two sensors. The ST100 series transmitter is unsurpassed in meeting your current and future need for outputs, process information and communications. Whether your output needs are traditional 4-20 mA analog, frequency/pulse, alarm relays or advanced digital bus communications such as HART, FOUNDATION Fieldbus, PROFIBUS, or Modbus, ST100 has you covered. ST100's bus communications have been certified by and are registered devices with HART and Foundation Fieldbus. In addition, Emerson Process (Delta V), Yokogawa and ABB (800xA) have tested and verified ST100 Series' FOUNDATION Fieldbus interoperability with their systems. Should you ever need to change or upgrade, ST100 can be converted to any of these outputs with a simple card change in the field. 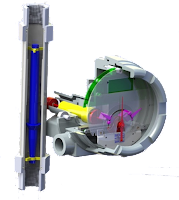 Many alternative flow meters require periodic removal from service verify calibration which can be expensive if the flow meter needs to be sent back to the factory. 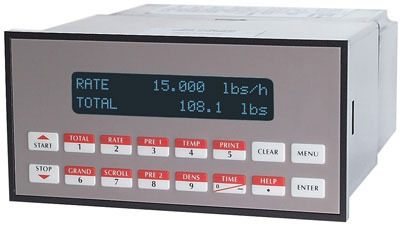 The FCI ST110 is capable of calibration verification without being taken out of service. 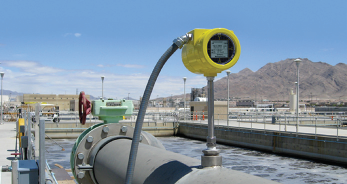 Ruggedness, accuracy, and superior quality made FCI the leader in thermal dispersion mass flow meters, flow switches and level switches for industrial process measurement applications. 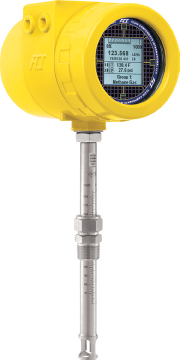 FCI air and gas flow meters are applied from small dosing lines to the largest stacks. For more information about FCI in Maryland or Virginia, visit http://www.flowtechonline.com or call 410-666-3200.